Daniel and his mates traded in the traditional salary cap game for the draft format and they haven’t turned back. When I watch the football I share Cypher’s frustration. I don’t see the disposals, or tackles, or goals – all I see is three points; four points; six points. Years of serious dream-teaming have left what I fear is an irreversible mark on my enjoyment of the game. But, on the whole, I’m kind of glad I took the blue pill. I take my fantasy sports seriously. That’s the way it’s supposed to be handled. I think you’re supposed to be carried away by your ego when it comes to dream team; to vulnerably ride the wave of emotions as your scores fluctuate. I, like many people, belong to a league that has been running for several years; where rivalries have been formed; where names are engraved on trophies; and where the euphoria of winning far outweighs the humble monetary reward. A few years ago my passion started to waiver. I’d been playing the classic form of AFL fantasy for many years, and there were more and more changes making the game too easy. These new rules – such as the introduction of near-unlimited trades, the option to reverse trades, and even the more recent rule of smaller on-field teams for bye rounds – meant the game was becoming more forgiving. The unforgiving nature of the game was one of the most appealing aspects to me. I loved the risk involved in the decision-making. Yeah, it sucked when you spent weeks storing funds only to bring in a player who was suspended in the following round. It sucked when you traded a player in on Thursday night only for him to be a late withdrawal minutes before the Friday night lockout. It sucked, but them’s the breaks. I’m well aware I may sound like one of the AFL heroes of bygone eras, being overly nostalgic about the good ol’ days, but there’s no denying the cut-throat nature of classic dream team has been eroded with the addition of each new rule. In the end, the thing that confirmed my stance wasn’t a rule at all. In my final season playing the classic format of the game I made it to the semi-final in my league – one win away from the big game. I’d had a great season, and my team sheet read like a dream team All-Australian squad. I had the best seven defenders of the year, and the best seven forwards. My midfield didn’t include a single weak player. But my semi-final opponent had also had a great year. His team was near identical to mine. In the end, the three unique players in his team outscored the three in mine. This was a pattern through our league finals. As a group, our league of extraordinary gentlemen had grown both bored and frustrated with the game. 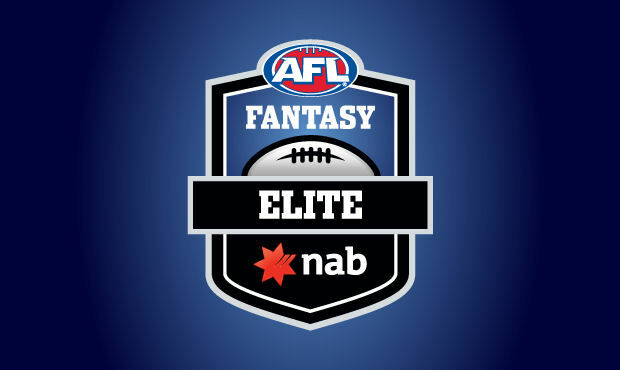 The decision was made to move over to AFL Fantasy Elite, the AFL website’s draft version of the game. No longer would captain Gary Ablett be taking on captain Gary Ablett in every game on the weekend. In this new world of draft leagues each player was allowed in only one team per league. We’ve played two seasons with the draft format, and the struggle is real. Pre-season research is all the more important when 200+ players are taken in the draft. Injuries, suspension, and poor form can derail any coach’s season in the blink of an eye. It’s a mental challenge, more than anything, and certainly not for the faint hearted. Well, hypothetical troll I just made up, you should have a crack at choosing between drafting Nick Smith or Tom McDonald. Or finding a ruckman on the open market when your third round pick goes down with an ACL injury only a few games into the season. It’s not my intention to discredit the classic game – I understand it has its own unique challenges, and that loyalists who have been playing the game for years wouldn’t dream of departing the format. Playing any form of dream team is a time-intensive commitment. If I broke down my potential league winnings and converted it into a wage for the time I spend on preparing pre-season spreadsheets alone I’d only be earning like $3.50 an hour. At the end of the day, dream team is supposed to be fun (or, at least, some level of rewarding). If your enjoyment is waning, maybe switching sides is worth a shot. I made the move and I’ve found the game more difficult, far less forgiving, and inclined to much more coaches’ box criticism. All the horrible things that make dream team so great. Guest post by Daniel Kovacevic. Great read, Daniel! I’m with you – the draft-style game is a real cracker. There’s nothing worse than scrolling through a head-to-head match-up to try and find the handful of unique players that would decide the contest. I like the idea of non-finals players being banned from trading. What do you reckon, commissioner Warnie? Thanks, Chook. I’d probably cry if Ablett ended up in my team nowadays.